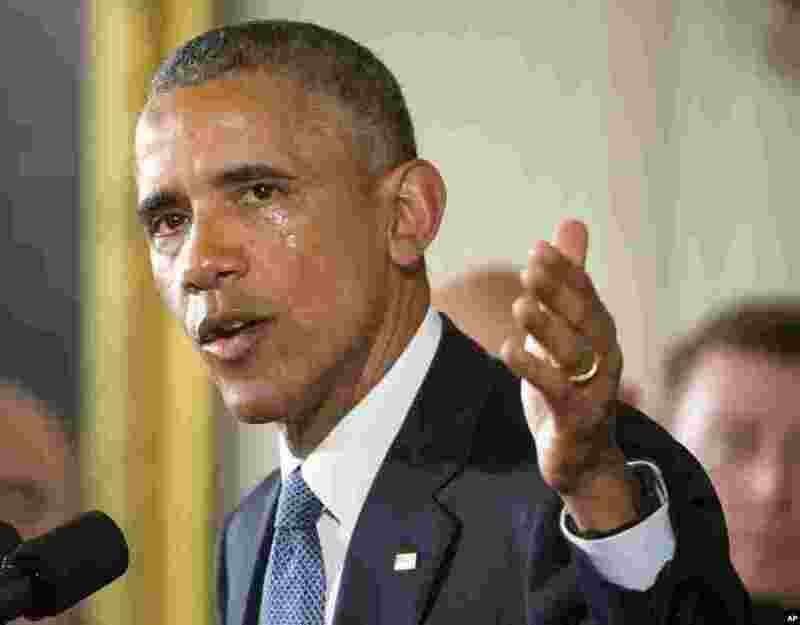 1 His cheek wet with tears, President Barack Obama President Barack Obama recalls the 20 first-graders killed in 2012 at Sandy Hook Elementary School, while speaking in the East Room of the White House in Washington about steps his administration is taking to reduce gun violence. 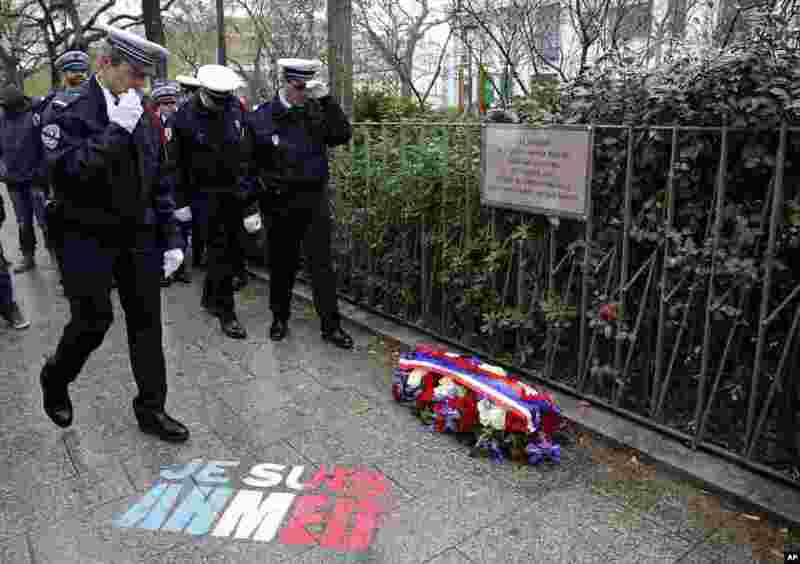 2 Policemen walk past “Je suis Ahmed," or "I am Ahmed,” spray painted on the sidewalk, in the red, white and blue colors of the French flag near a plaque commemorating late police officer Ahmed Merabet in Paris, France. President Francois Hollande honored 17 victims killed in Islamic extremist attacks on the satirical newspaper Charlie Hebdo, a kosher market and police a year ago this week. 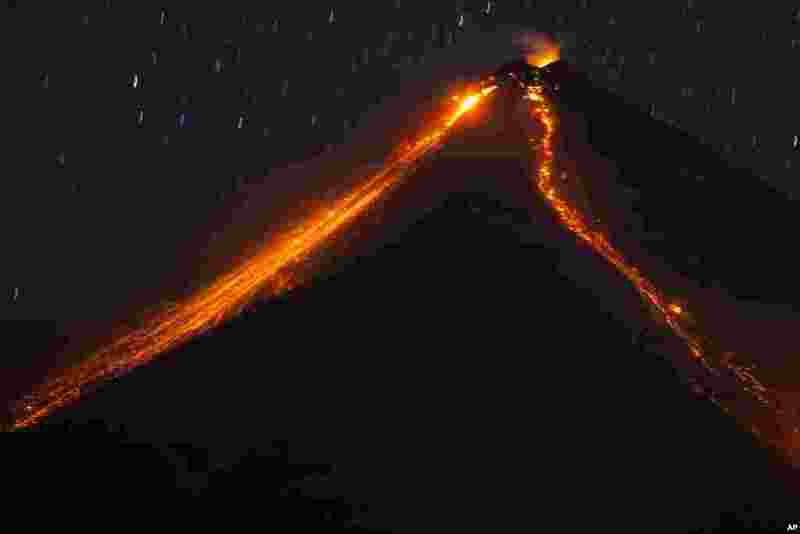 3 The Volcano of Fire releases lava, seen from Escuintla, Guatemala, Jan. 4, 2016. 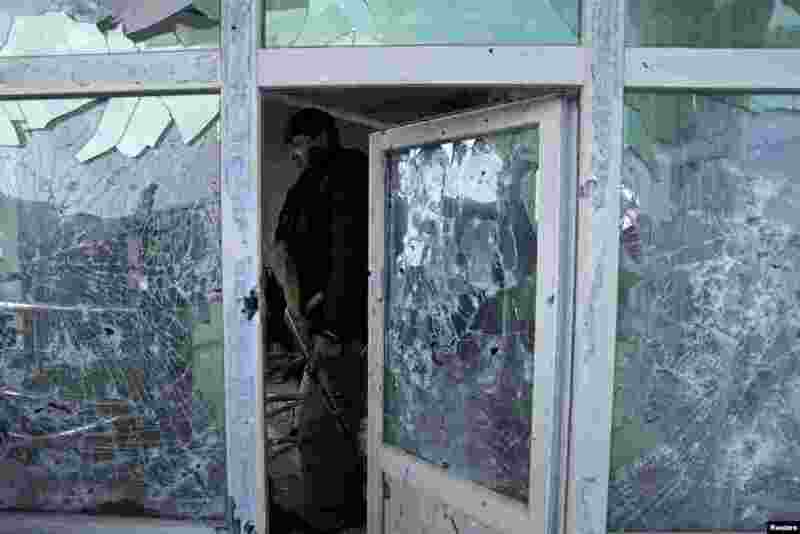 4 An Afghan policeman inspects a building used by insurgents after an operation near the Indian consulate in Mazar-i-Sharif. Afghan special forces killed a group of insurgents holed up in a house in the northern city of Mazar-i-Sharif, bringing to an end a 24-hour siege following the insurgents' attack on the nearby Indian consulate.